This Dieselmax powered 14 Metre Telehandler has a big reach and payload for excellent productivity. The telehandler takes visibility to new levels, particularly the three-quarter view to the rear of the machine. 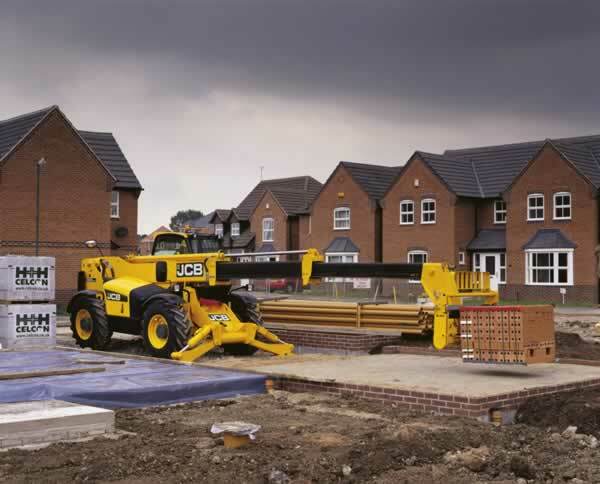 This is achieved via a lowered boom pivot and a reduced-size boom section, without compromising on strength. The innovative has resulted in a 10% increase in all-round visibility, making the machine easier and faster to operate. To cap it off, the telehandler also boasts a compact reduced-overhang chassis for superb steering and manoeuvrability. Fitted with a tough inverted U-shaped boom pressing with fully welded closing plates. Limited number of joints and stress points across the integrated boom nose and one-piece closing plate for extra strength. The boom is mounted low in the chassis, providing a rigid structure and maximum over-the-shoulder visibility. Hoses are rooted through the boom for maximum protection. Boom overlaps of up to 1m ensure ultimate strength and durability. Optional radiator chaff guard and a reversing fan to keep out debris. 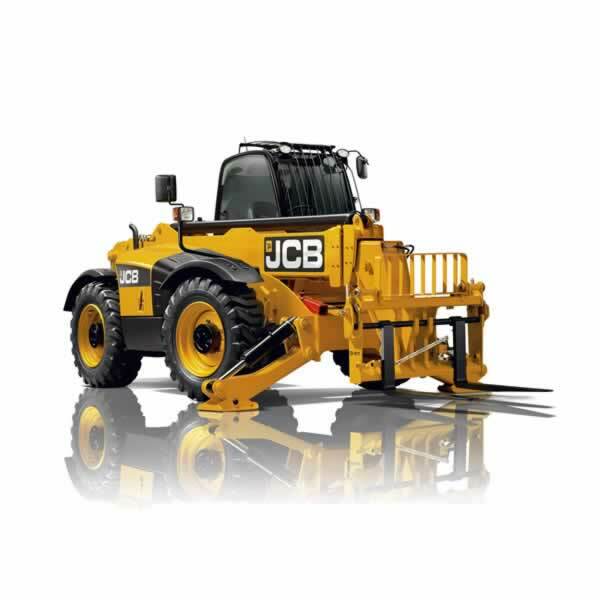 A one-piece fully welded chassis maximises the strength and minimises the weight. 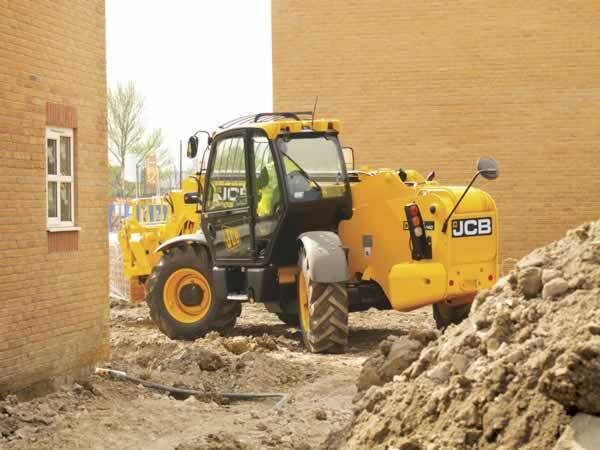 Models available also include the JCB 540-140 and the Manitou MT1440. Quick, easy, safe access with three points of contact at all times for getting into and out the cab. The seat safety switch disables forward and reverse when operators leave the seat. Full set of side and rear view mirrors for all round visibility and safety compliance. For extra safety, a reverse alarm is standard-fit too. The load moment indicator, providing progressive read out of forward stability, is at eye level for easy checks and maximum safety. Please allow access for safe and convenient delivery and collection. Protective clothing should be worn whilst operating the machine. CPCS should be held before operating. Our telehandlers are nationwide and can usually be delivered within 24 hours. The telehandlers need to be situated where it is easy for our vehicles to drop off and collect. 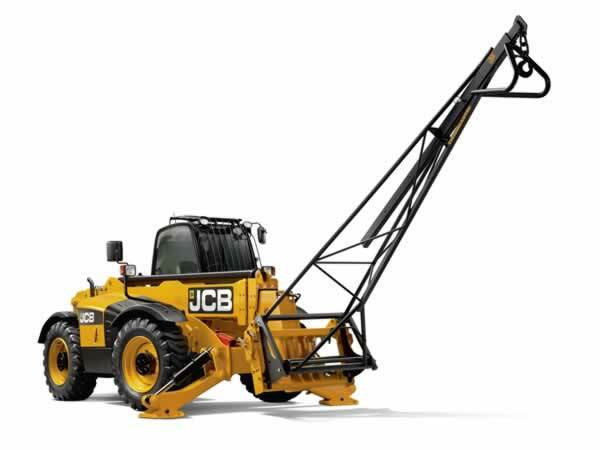 The size of the vehicle we will deliver the units in will depend on the type and quantity of telehandlers. Please be aware of access for the vehicle when ordering telehandlers.